Where can families go and have all ages have fun? How about a car racing! The All American Speedway on the Roseville fairgrounds is just the ticket! Lots of excitement, noise, something to view farther away than just the cell phone screen. Real stuff. 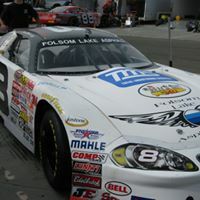 Folsom Lake Asphalt is as excited as kids about the NASCAR K&N PRO SERIES WEST on Saturday, October 13th. 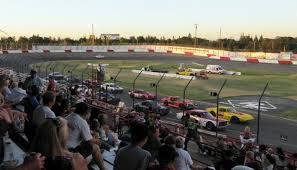 Folsom Lake Asphalt has been building, repairing, maintaining, fixing and keeping asphalt in condition throughout the Sacramento area prime for nearly 40 years, so it’s no wonder that they have affection for the track. They sponsor their own race car. Families can feel safe and have fun together with the thrill of the track. Placer County Fairgrounds, where the track is located, was renamed @the Grounds after Placer Valley Tourism took over management of the 61-acre property nearly a year ago and began a renovation project of more than $40 million for the repair and updating of existing buildings and parking lots. Imagine. Your boss called a lunch meeting the day you planned on taking your car to the shop for a quick oil change and lube. Drat! Cancel that. Can't go after work; soccer practice and gymnastics class back to back for the kids. Pizza on the way home. The rest of the week is just as busy. I am so fortunate to have found Premiere Mobile Tire, which also comes to me for oil changes, even in Folsom. You heard that right! They will come to your home or office and get your car maintained without you having to make any changes in YOUR day. 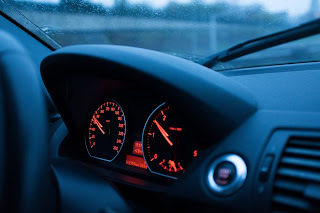 At the change of seasons, it is a good idea to look at what needs to be done for good main tenance of your cars. 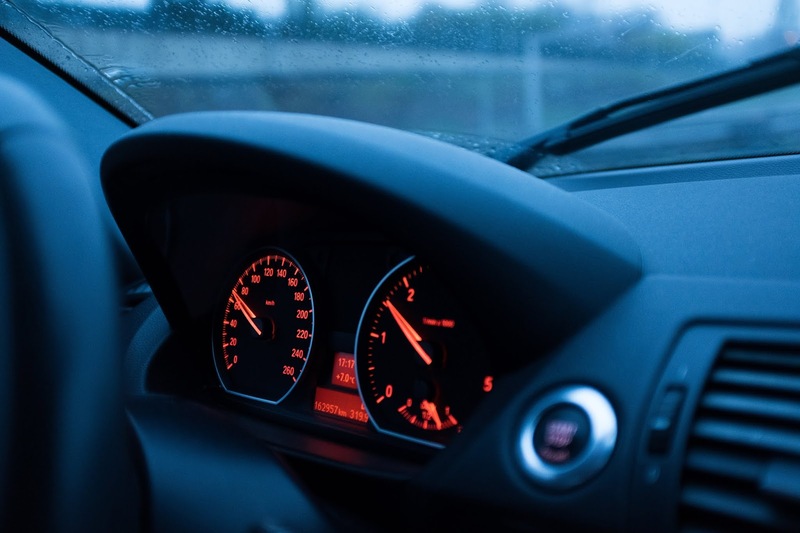 Taking time for routine maintenance, like oil changes, can be costly in time. But not doing it is costly, too. We depend on them for so much, especially for families where both parents work. There are so many basic life support services are mobile. We get groceries and prepared food delivered; there are mobile veterinarians, dry cleaning delivery, it just makes sense that the car services are mobile now, too! What an easy way to have oil changes come to me, and even get my tires replaced. Thank you, Premiere Mobile Tire! THAT'S the rub! It is NOT safe for you to change your tire on the freeway, period! How about at work? Well, here's another question: how much does your time and clothing cost? Don't want to ruin both? Of course ! Call Uncle George! Oh, on vacation. Shoots!! 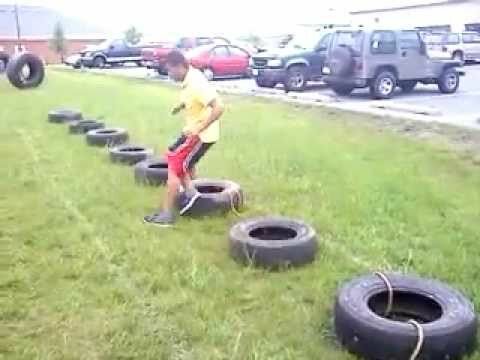 The key question is: do you WANT to change your tire now? Of course not. It takes valuable time and effort out of your day. SOMEbody must do that! Lucky YOU! So much service comes to YOU these days: grocery and restaurants deliver, why not tires?! To the rescue - Premier Mobile Tire had the same idea. When you need it most is often the least convenient, right? You have a client meeting, go to your car, and shoots! Flat time! You have two choices, really: get grungy in that gutter, or call Premiere Mobile Tire. 916-371-1121. I bet I know the answer. That's what I'd say, too. My Uncle George is always on vacation! 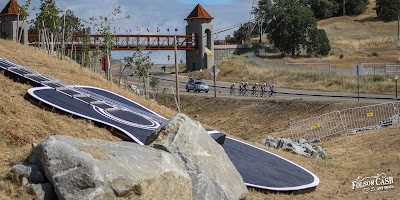 The Johnny Cash Trail connects the Folsom Lake Trail by way of a new bike/pedestrian over-crossing, beautifully inspired by the architecture of nearby Folsom Prison. 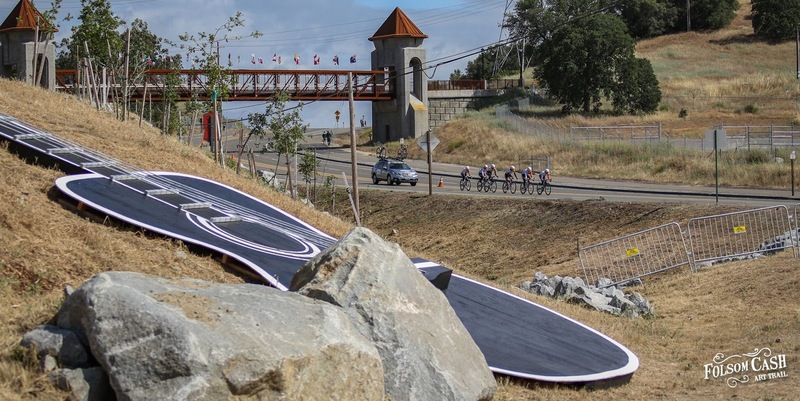 With the bike trail infrastructure in place, the City of Folsom plans to create a world-class linear public art experience that will celebrate and honor the legendary Johnny Cash, his music, and his history with the City of Folsom.